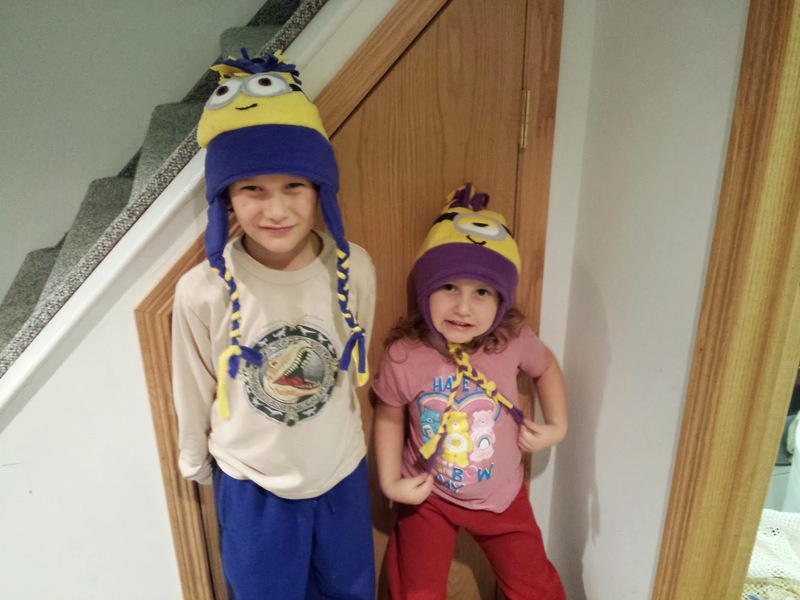 As if I didn't have enough minions kicking around our house, I decided to add more into the mix - in hat form. It's starting to get colder here in Manitoba - no surprise. The hats and mittens and boots have come out. Every year when this time comes, I always stock up on several mittens and hats and scarves so that they are easily grabbed and put on on the way out the door. And since we have to wear all this gear for about 6 months, we might as well have trendy fashionable hats. 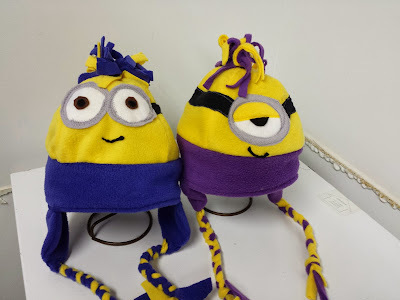 I used the same fleece that I had leftover from making the stuffed minions and fashioned these babies. Logan wanted another Dave with blue band. Lane wanted a pink band around her hat, but I didn't have any good pink fleece, so she got purple. I have a little bit of that in order to attempt to make a purple minion in the near future. Wish me luck! Even Stuart wanted to wear his likeness. 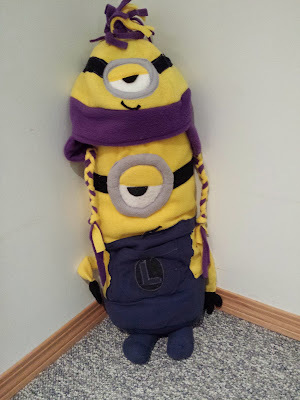 Oh so meta-minion of him. 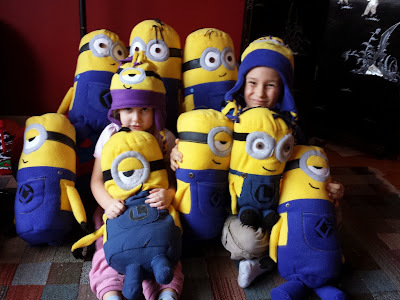 I think the children have been assimilated!